This is a response, from Joel Landy owner of the former Burton International School, to Patrick Smith’s Explaining the Corktown Cinema Internet Fight published August 14, 2012. The views and opinions expressed in this article are those of the author and do not necessarily reflect the views of the Woodward Spine. I, Joel Landy, the Big Bad Landlord, created the idea of hosting a theater in the Burton School. I named it, designed the theater and its operation, borrowed and spent more than $80,000 and many hours renovating all of its features including the pool table in the boys’ room. The Corktown guys rented the Burton Theatre , bought a popcorn machine, installed some used projectors, started renting movies and organized and operated their creative project. There was no “dispute with the landlord” as they have stated. They moved out at 2 a.m. under their own free will with no notice to avoid paying three-month-overdue separately-metered electric bills and the payment, or arrangements thereof for a security deposit that had never been paid. The rent never changed, it only went down as I subsidized the operation. After 20 comments in one week from people thinking the Burton Theatre was closed—and having asked the Corktown Cinema guys to discontinue using the theater’s name—I contacted Facebook. After a short investigation, Facebook determined the former tenant was still using the theater’s name on their page and turned the page over to us. After a couple quick postings to let people know the Burton Theatre was still open, I unpublished the page and shut it down. I look forward to the day when the Burton Theatre, the Corktown Cinema, and the DFT will be working together and cross-promoting various activities. 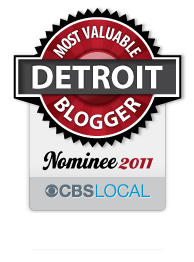 This entry was posted in Detroit, Politics, TV/Film and tagged burton theatre, cinema, corktown, corktown cinema, Detroit troubles, film, Liars, movies. Bookmark the permalink.